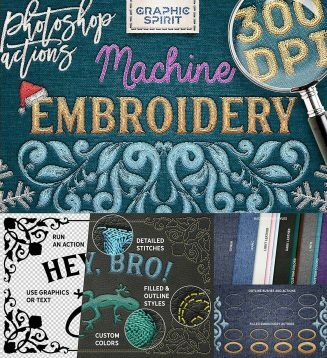 Download this action set for Photoshop to create new images, ecards, posters, as the result will be 300 dpi ready to print. Also suitable for on-screen use, such as web design, if you save the result in 72 dpi — it’s easy. This set includes: 5 Stitch brushes and 5 Hole brushes, 7 Emboss Styles for holes, stitches and embroidery, Denim Fabric background style, Jeans Fabric background style, Light Leather (Custom Color) background style, Dark Leather (Custom Color) background style, Medium Linen (Custom) background style, 8 Outline stitch actions, 1-8 Line Embroidery for the filled style. File format: .psd, .abr, .asl, .atn for Photoshop or other software. 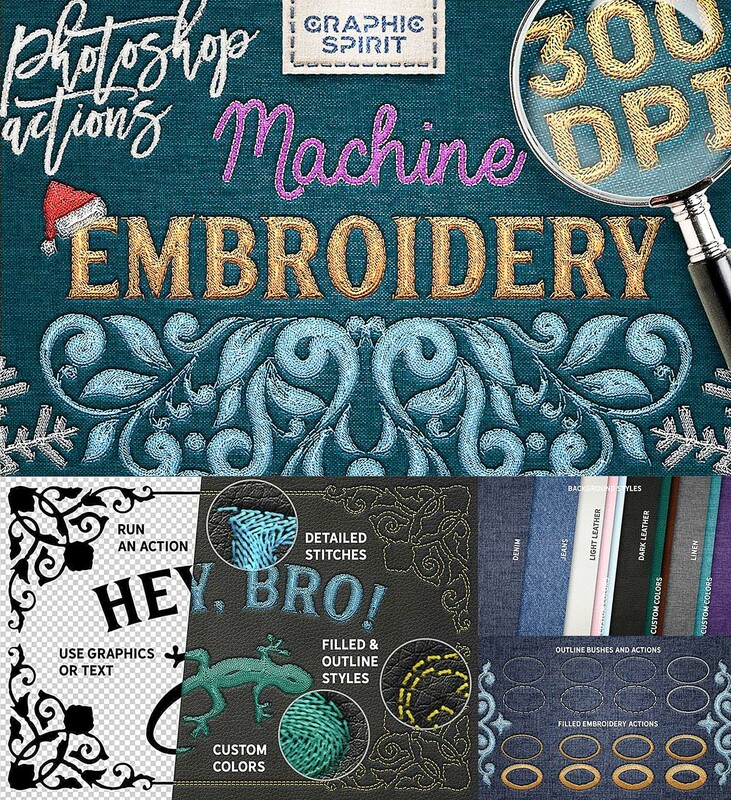 Tags: brush, cross stitch, denim, Embroidery, fabric effect, leather, linen, machine embroidery. where’s the link to download? Download link is under image, in one line with social media buttons. It’s green with arrow.